Motorsport Aftermarket / Tuning Design Facelift Official Races and Chases Records Rumors Teasers Why Buy? 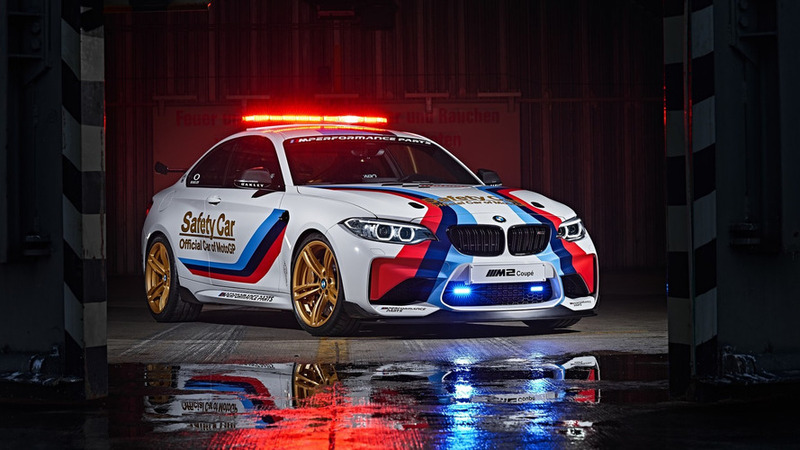 BMW has unveiled the all-new M2 MotoGP Safety Car. Set to enter service later this year, the model features an Alpine White exterior with a BMW M livery and an assortment of BMW M Performance Parts. The car was built over the course of ten weeks and features a front splitter, an LED light bar, and a carbon fiber reinforced plastic adjustable rear wing. The model has also been equipped with carbon-ceramic brakes, an M Performance coilover suspension, and high-performance Michelin Cup tires.